To set up your homepage, you first have to create a basic page, or any page template (such as the portfolio page for example). After you decide what page do you want to use, go to Settings > Reading and in the Front page displays choose A static page, then select your just created page. 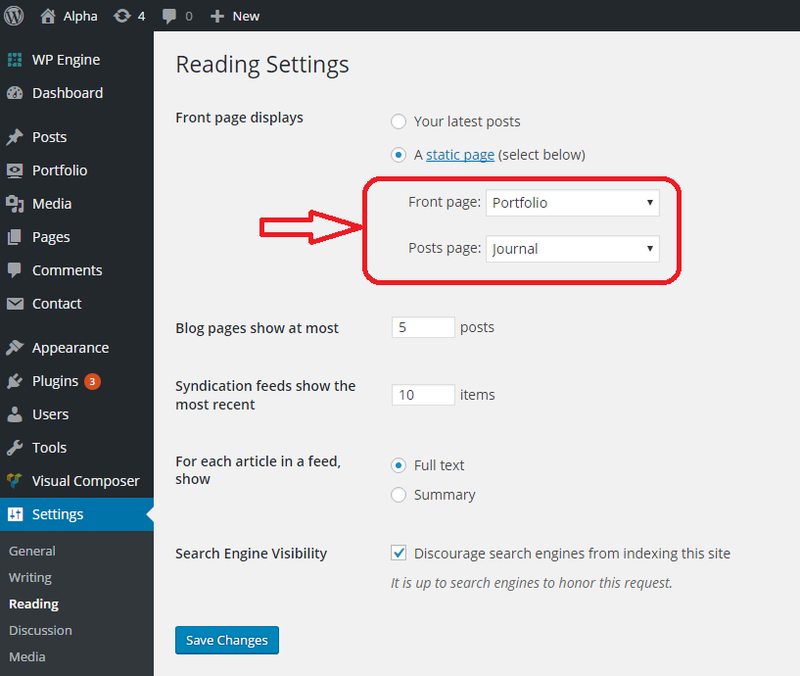 You can also set up the posts page here (your blog). Next, you should setup your permalinks to look pretty. Please go to Settings > Permalinks, choose the Custom Structure, and use this: /%category%/%postname%/ (works best with our theme).